HSBC has released its China purchasing manager index for December, and at 56.1, the news looks encouraging. Much like the National Bureau of Statistics’ (NBS) figure of 56.6, released on January 1, it was a better-than-expected result. The HSBC figure was in fact the highest recorded since the company began releasing survey data in 2004. HSBC’s own chief China economist, Qu Hongbin, says government stimulus and infrastructure spending are to thank for the exceptionally high rate of growth. That these provided a boost is unsurprising, but it may not be of much comfort to those looking for something more enduring. As always, the cornerstone of sustainable growth is stronger domestic demand – and as always, finding ways to encourage that demand remains difficult. Encouraging demand won’t be the only challenge Beijing’s economic planners face in the coming year. As commodity prices have continued to increase, so have manufacturing prices. Price increases so far have been kept far out of sight of consumers, and consumer price inflation remains low. Amid inflationary monetary policy that Beijing insists will continue, however, that will not last forever. There are a number of factors that may keep a lid on inflationary pressures for the time being. An improving domestic economy and strong job growth may give Beijing some leeway in tightening policy. Some also argue that the overcapacity that plagues many industries in China will keep consumer prices under control. But they may be overselling Beijing’s flexibility. Monetary policy will have to take into account not just the state of the domestic economy, but that of global export markets. While export orders are growing (the NBS PMI’s export orders component was 52.6 in December), exports remain far below pre-crisis levels, and a strong recovery is not guaranteed. If external demand does not improve dramatically, Beijing may be forced to extend loose policy to keep the economy moving at a time when rising consumer inflation would suggest the opposite course of action. 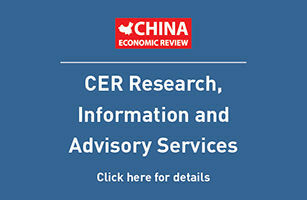 Overcapacity may be of little help: Some economists argue that excess industrial capacity in China’s economy is concentrated in non-consumer sectors, reducing its ability to keep consumer prices down. Strong PMI numbers are welcome, but do not make the mistake of reading too much into them. China is still set for a tough year ahead.